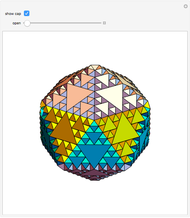 A regular icosahedron can be considered as the assembly of 20 golden tetrahedra (tetrahedral part of a golden rhombus), and each golden tetrahedron can be filled with infinitely many golden octahedra. 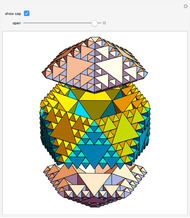 Therefore, an icosahedron can be filled with infinitely many golden octahedra. This Demonstration shows the initial steps of the construction. 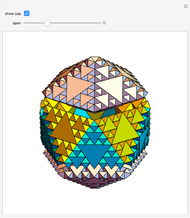 Sándor Kabai "Filling a Regular Icosahedron with Infinitely Many Golden Octahedra"